The meteorological, physical, chemical, and optical characteristics of long-lasting haze in Seoul were studied. Four episodes were observed between 2009 and 2014, all in winter. PM10 mass concentration (PM10), chemical species, and aerosol optical depth (AOD) were analyzed along with the synoptic meteorological conditions. During the episodes, the temporal variations of the PM10 generally proceeded from the west along the Yellow Sea. The ground-based AOD was also high in Seoul and other sites. High AOD (MODIS) distributions were observed to move from China to Korea. The high sulfate concentration, along with the high sulfur oxidation ratio value of the third and fourth episodes (Eps. 3 and 4), respectively, corroborated the possible long-range transport of air pollutants. Stagnant meteorological conditions were a reason for the occurrence of long-lasting hazes. An anticyclone system had a dominant influence on the Korean peninsula during all episodes. The air mass over China was able to rise, and that over Korea was more stagnant in terms of climatology except Ep. 2. In addition to transport from outside, locally emitted air pollutants contributed to the PM10 partly due to the stagnant conditions, during which diurnal variations in NO2 and nitrates showed similar peak times during Eps. 3 and 4. Analysis of the episodes consistently showed that the long-lasting haze episodes were influenced by both the long-range transport of air pollutants from outside Seoul, mostly from China, and the accumulation of air pollutants that were locally emitted and transformed. 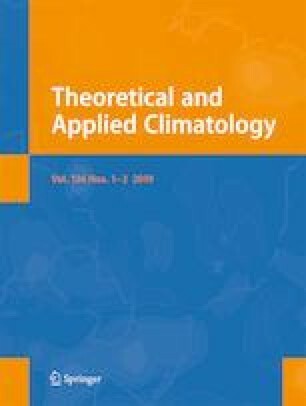 This study has been supported by the “Research and Development for Meteorological Services (NIMS-2016-3100)” of the National Institute of Meteorological Sciences (NIMS). We wish to thank the AERONET PI at Beijing-CAMS for the Sunphotometer data.